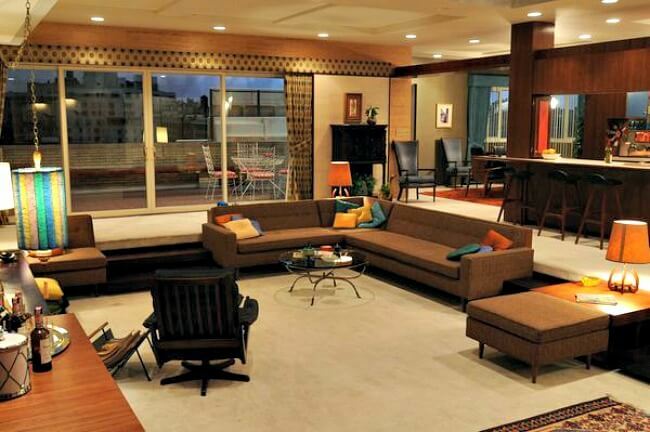 Ever wish you could live in one of the homes on Mad Men? Modern Family? Gilmore Girls? I don’t blame you! TV shows offer us a glimpse into another home, another lifestyle, and sometimes even another time period. An incredible amount of time and energy goes into designing the perfect set. When it comes to interior design, you better believe set designers know their stuff! TV shows also allow you to look at a room from multiple angles so you can get a sense for the whole space. That makes it easier to identify the elements you truly love. If you need inspiration for your next interior design project, let these amazing TV show sets jumpstart your creativity! 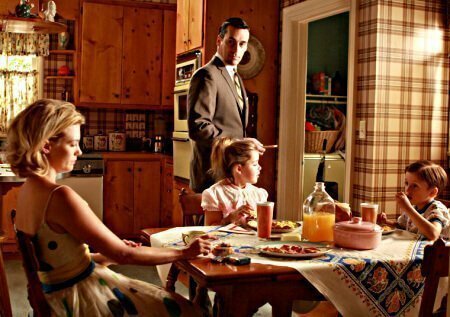 When it comes to incredible sets and TV show decor, Mad Men may be the gold standard. Don and Megan’s apartment is a great example of how to do mid-century decor in a way that still looks appealing today. The straight lines, geometric shapes, and natural palette are all elements you can work into your own modern day home. The Draper house in Westchester County, New York is a perfect example of the all-American home. The overall effect may feel a little outdated for some people, but elements like the knotty wood and warm colors are easy to incorporate today. Check out this exhibit to see more sets, costumes, and props from Mad Men. Gilmore Girls originally ran from 2000 to 2007. From the cozy home decor in Lorelai’s House to the grand furnishings in the Gilmore mansion, the show offers plenty of great interior design inspiration. If you’ve seen the Netflix revival, “A Year in the Life,” you may have noticed that set designers made some updates to Lorelai’s home. For example, her living room walls changed from off-white to soft green. This post has some great before and after photos of specific rooms. 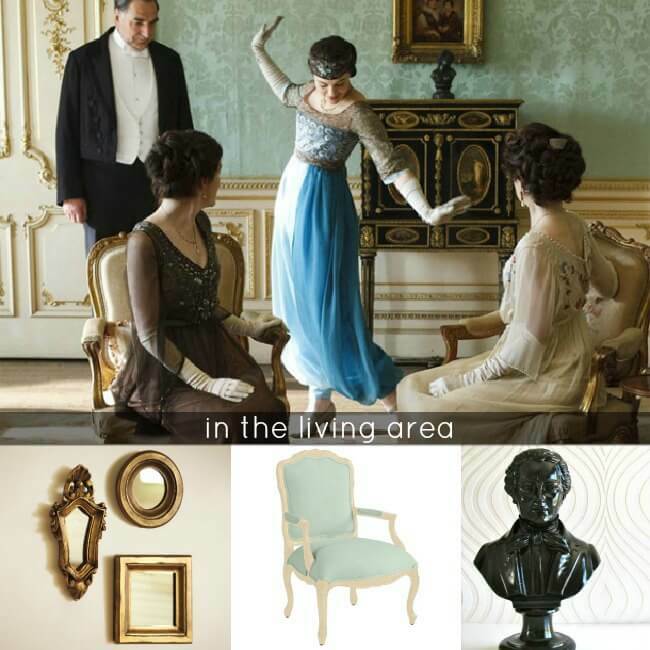 No list of inspiring TV show sets would be complete without a mention of Downton Abbey. The interior design in the beloved period drama may be second only to the incredible costumes! Every single room is full of rich detail. 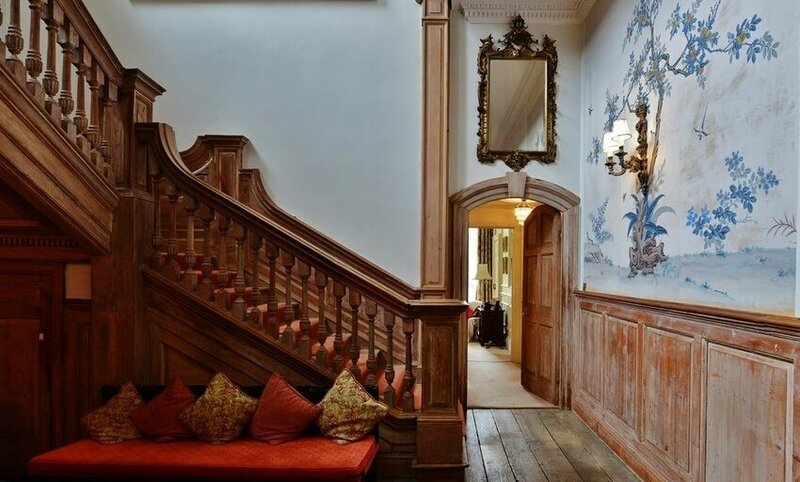 Making your home look exactly like Downton Abbey might not be realistic, but incorporating a few key elements in the right places can add just the right amount of elegant, antique flair. If space is an issue, look no further than Friends. While most of the characters live in fancy New York apartments they couldn’t afford in real life, they do show us some great examples of how to decorate in small spaces. 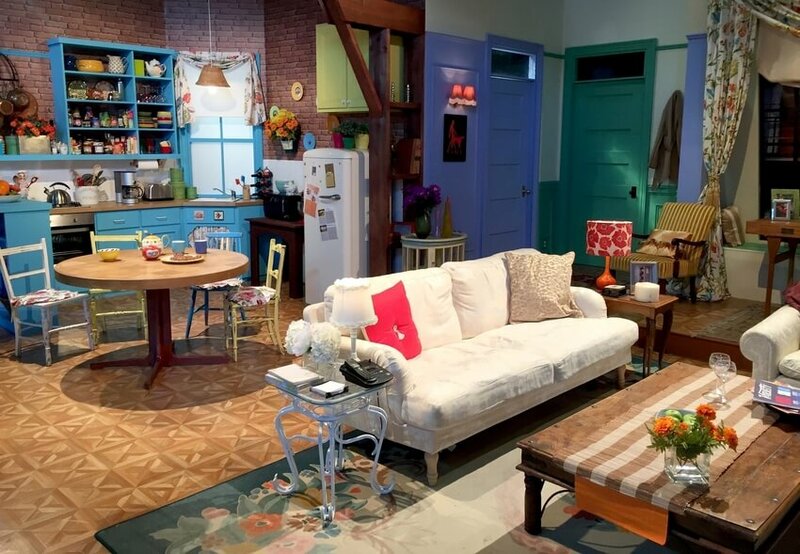 Monica’s apartment in particular is one of the most showcased sets on Friends. Its bright colors and fun vibe have inspired many viewers both during and after the show’s run. If you have a small kitchen, designing something functional and beautiful can be a challenge. Monica’s tiny and eclectic kitchen might give you some ideas. Fun fact: Monica from Friends is a chef, so she definitely knows how to make a kitchen work! Are you thinking about a kitchen remodel? 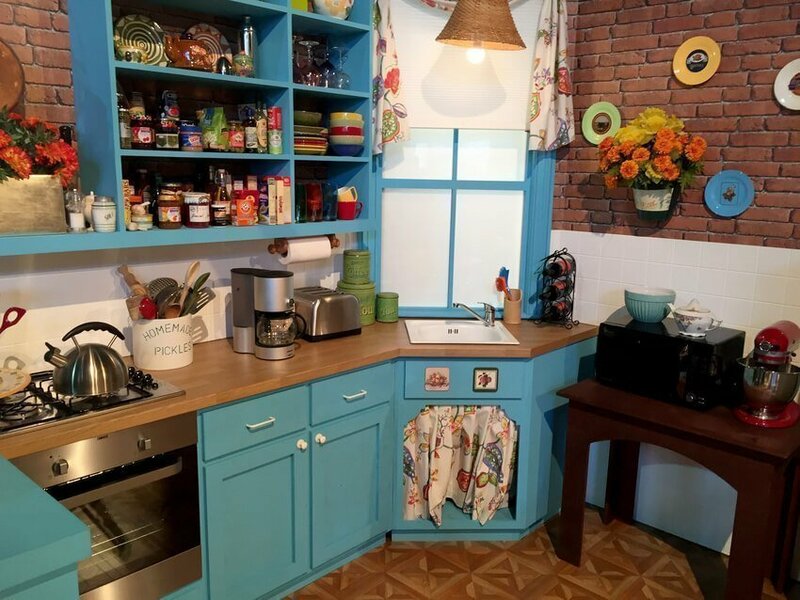 Cooking shows often have wonderful examples of kitchen design. The Martha Stewart Show also has a great kitchen. The design is light, spacious, and clean. Take a look at some photos from the set. That famous open staircase, faux wood paneling, and lots of brick and stone all help the house in The Brady Bunch feel like a classic mid-century family home. With more than 100 episodes on record, it’s easy to find clips that feature many of the home’s design elements. This famous scene will give you an idea of the colors, textures, and other design elements that make the set so iconic. Many of the styles in this home have come back into favor in recent years. For example, in the kitchen you’ll see rustic brick surrounding a stainless steel oven. 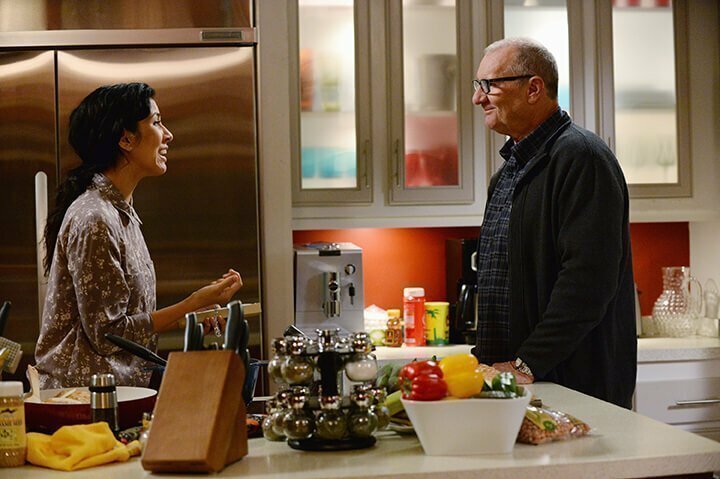 One nice thing about Modern Family is that we get a pretty good look at three very different homes throughout the seasons: Gloria and Jay’s house, Phil and Claire’s house, and Cam and Mitchell’s house. 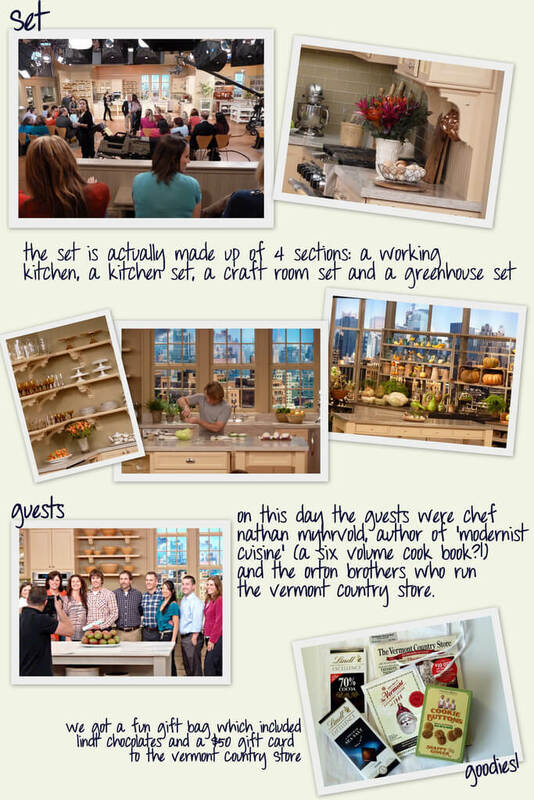 One room we see quite a bit is the Pritchetts’ big open kitchen. Bold colored walls, stainless steel appliances, and ample counter space all make this kitchen design a popular one. If you want to see interior design variety, watch The Good Place, a comedy about becoming a better person in the afterlife. You’ll see classic minimalist designs, beautiful ornate antique parlors, and everything in between. Lucky for us, a huge portion of the show takes place inside the homes on Wisteria Lane. Plus, because Desperate Housewives ran for so many years, we get to see the sets over and over again from many different angles. The new mystery series, The Catch, uses a huge range of filming locations, including many gorgeous interior sets. The styles vary, but most sets on the show share a crisp, clean aesthetic, plenty of natural light, and an open floor plan. What about Marie’s famously purple-ridden home from Breaking Bad? Or the living room in The Fresh Prince of Bel-Air? Or even old classics like I Love Lucy? There have been so many great TV show sets over the years. Whatever your design preferences, you might be surprised how much inspiration you can glean from relaxing in front of the TV! If you need help incorporating any of these ideas into your home don’t hesitate to get in touch with me at Mosaik Design & Remodeling. Give us a call at (503) 406-6179 or contact us online to get started.